With the correct board and scratch art tools, you can produce a unique portrait. It's easy to learn how to etch scratchboards, also known as scraperboards, and to hone skills with a variety of brushes and cutting implements, transferring your existing portraiture skills to a new medium. This is an interesting and innovative craft, which only requires a few key items. 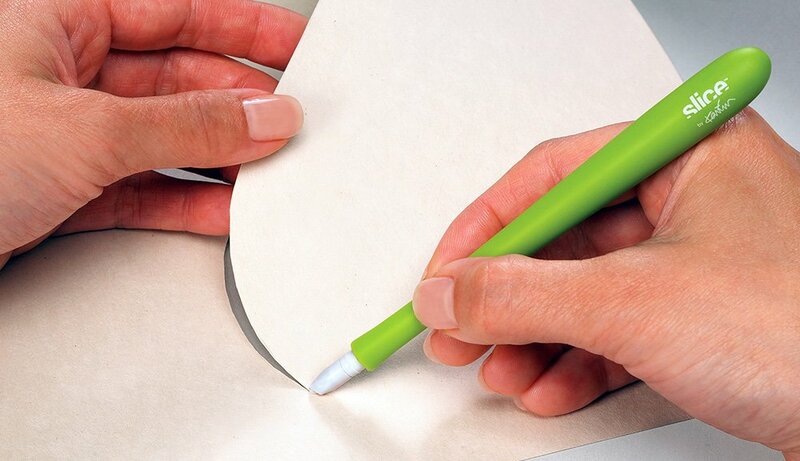 Scrapbookers know that to pursue the craft, you must have at least one scrapbook paper cutter. But, like any tool, craft cutters aren’t perfect. 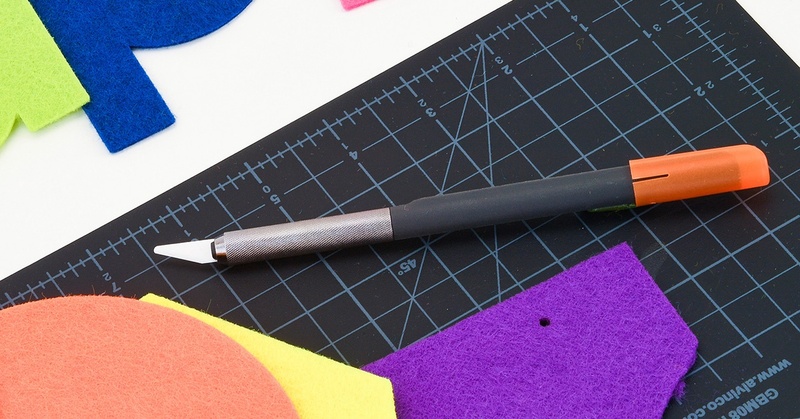 There’s always room to improve, even on what is often considered the standard and best paper cutter for scrapbooking: the utility or craft knife. It’s a tool every crafter needs, but what is a craft knife? This general term can refer to various all-purpose cutting tools. Finding the right craft knives and blades will make your projects easier, safer, and more enjoyable. 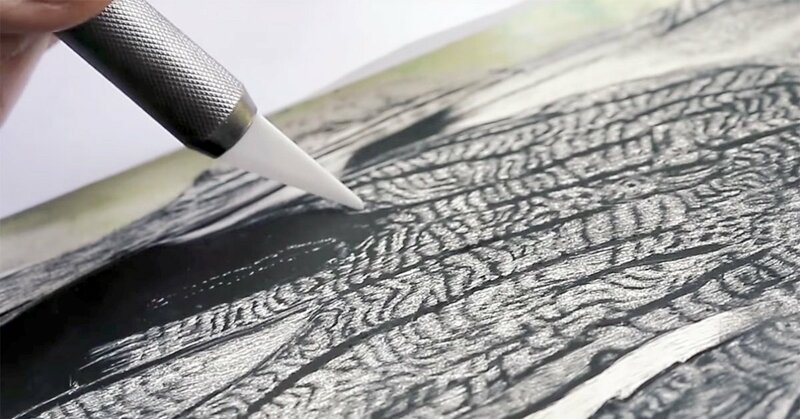 It's amazing to see how a simple scratchboard knife can create striking imagery on a blank board. 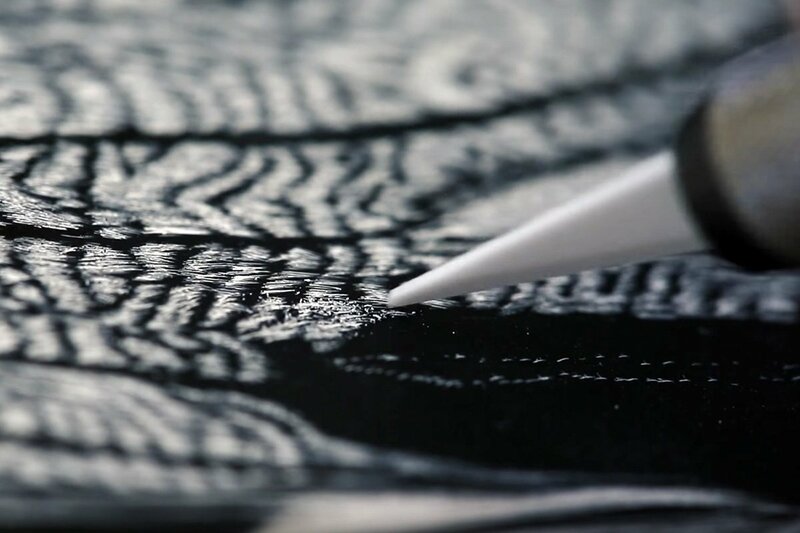 Scratchboard has its origins in prehistoric cave etchings, which then influenced 15th century woodcutting. From there, it became a common method for early 19th century advertising, newspaper, and book reproductions, until transforming into today's exciting medium. Utilizing various tools and blade strokes, it's a distinctive art form practiced by everyone from hobbyists to professionals. Most of the information you’ll find when searching around about ceramic blade knives centers on kitchen knives as they’ve become popular due to their upsides and despite some downsides. But there are now many other types of cutting tools that feature a ceramic blade including safety knives, craft knives, hobby cutters, utility knives, and precision cutters. Why Classroom Safety Rules Rule! Classroom safety rules—not exactly the most exciting school topic. Or is it? While following safety rules may sound more like no fun to your small learners, safety rules for kids in the classroom create a dynamic that empowers them and results in a more stimulating and cooperative learning environment. The Best Art Supplies For Kids—What's Missing? 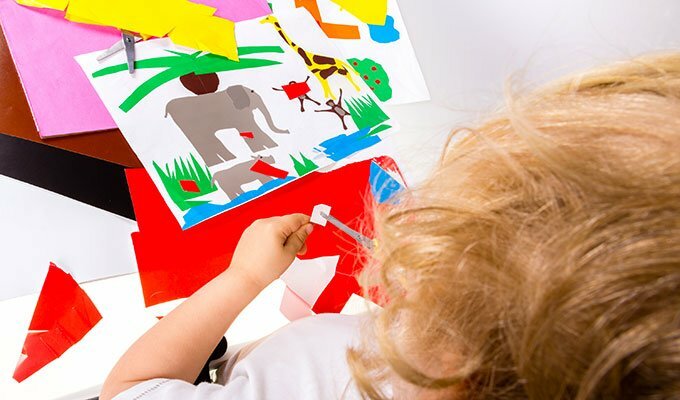 When hunting for the best art supplies for kids, you’ll regularly see crayons, colored pencils, construction paper, paints, and scissors. But rarely will you see a cutting tool other than scissors included. Yet, cutting materials is key to many crafts for kids. And scissors are not ideal for all cutting situations. 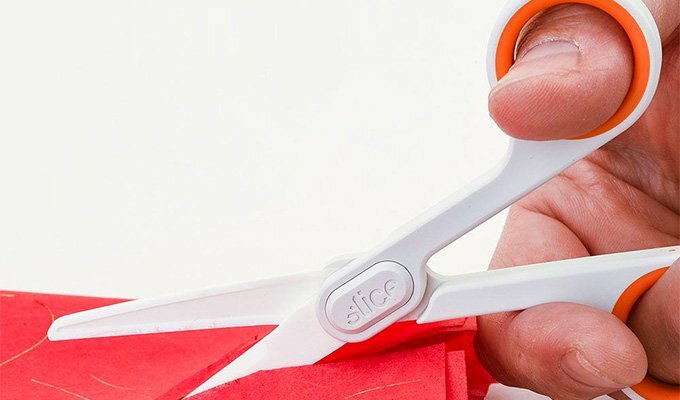 Children’s scissors are a hot topic among parents and teachers alike; children love crafts and it’s a joy to see children expressing themselves creatively. What family doesn’t have a refrigerator covered in delightful kid art? But most such projects involve the use of scissors, and scissors can be dangerous. Even with all the attention on safety these days, there are thousands of scissor injuries—primarily cut fingers—sustained by young children each year. So what to do? Couponing is big business, and coupon cutters save couponers time and reduce the risk of injury. According to PR Newswire, seven out of 10 couponers use print coupons like those that come from newspaper inserts and mailers. When you're dealing with so much paper, clipping coupons efficiently and safely can become tedious and maybe even take longer than it's worth. 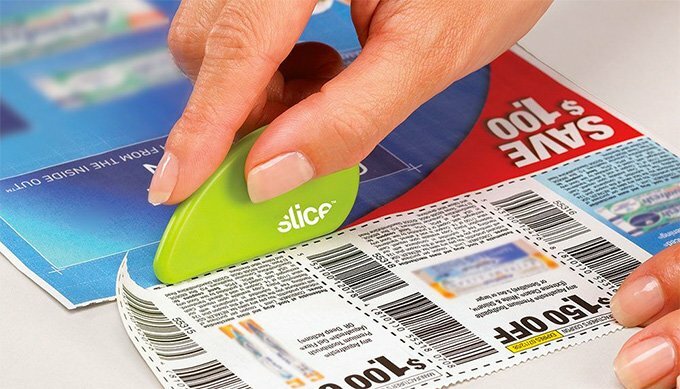 To make the most of your time and energy, you need a coupon cutter that's ergonomic and protects you from cuts at the same time. 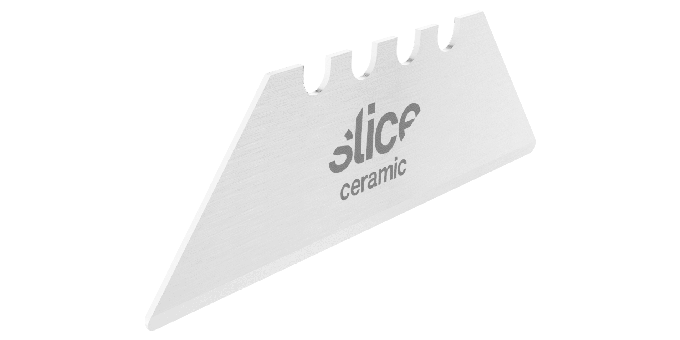 Enter the Slice Safety Cutter with micro-ceramic blade. These nifty little coupon cutters have an ergonomic shape and give you crisp precision to help you power through your next cost-savings adventure. "I have a lot of work cut out for me," jokes Kelly Manning, a Melbourne-based visual artist. Manning's work typically uses various media, including board and paper. Recently, she branched out into her first mural and used the Slice Precision Cutter to create stencils for the commissioned work. 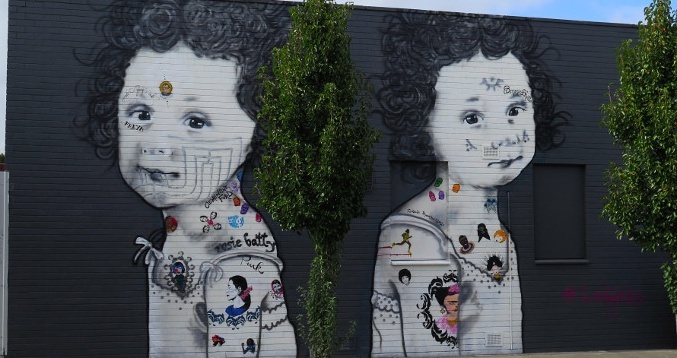 The resulting piece, entitled "Little Rebels", is a street art celebration of strong women.